I’ve been a big fan of No7 make-up for a few years. I’ve always loved top end make-up but after having two children my funds were a little limited. I like No7 because you get the quality of a luxury brand without the price tag. Being a vintage girl I love No7’s collaboration with Poppy King. Poppy has been designing lipsticks since she was 18 and 20 years on she is still going strong. She was unhappy with the lipsticks in the shops and wanted to create colours and textures that emulated the thick pigment rich products of the 1940s. Poppy has always approached her business as a consumer and has managed to create lip products that are wearable and exciting. Her range of lipsticks for No7 are beautifully packaged and the range of colours are gorgeous. There’s a great selection of reds for every complexion and a pink too. There are also lip-glosses in a plethora of vintage colours and the new addition to the collection, the lip crayon. I asked for a red as I wanted a really vintage colour and this was a lovely shade. I usually favour warmer reds and pillarbox reds and this one was a slightly bluer red but I still really liked the colour. 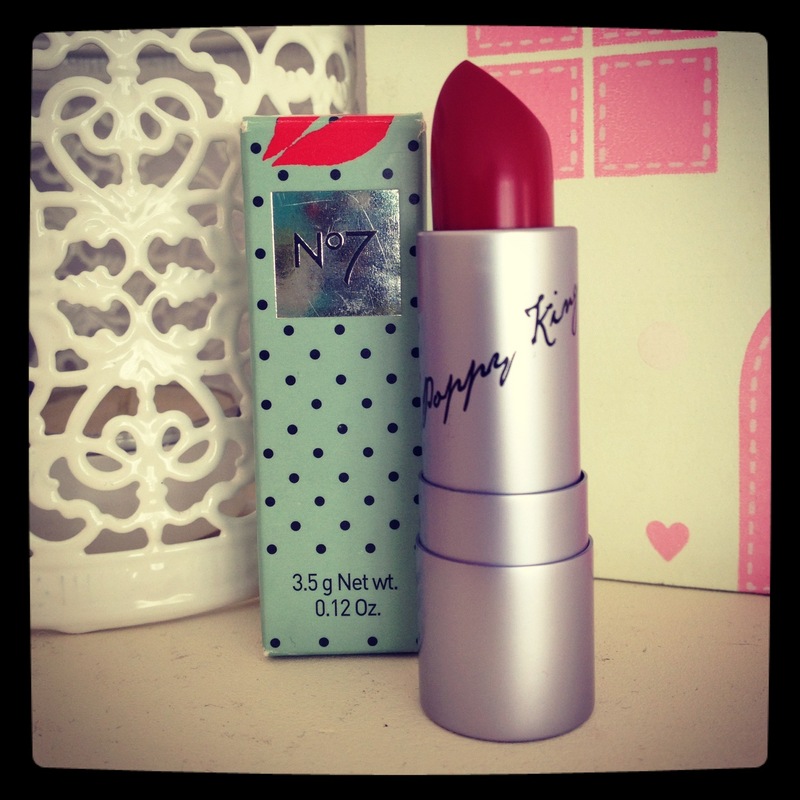 The lipstick was very smooth and moisturising and the colour was strong and opaque. When I first put it on, because it felt quite light and smooth I didn’t think it would last long but after a slice of cake and a couple of glasses of bubbly it was still going strong! I would recommend this lipstick as part of a vintage make-up look as it looks very authentic. 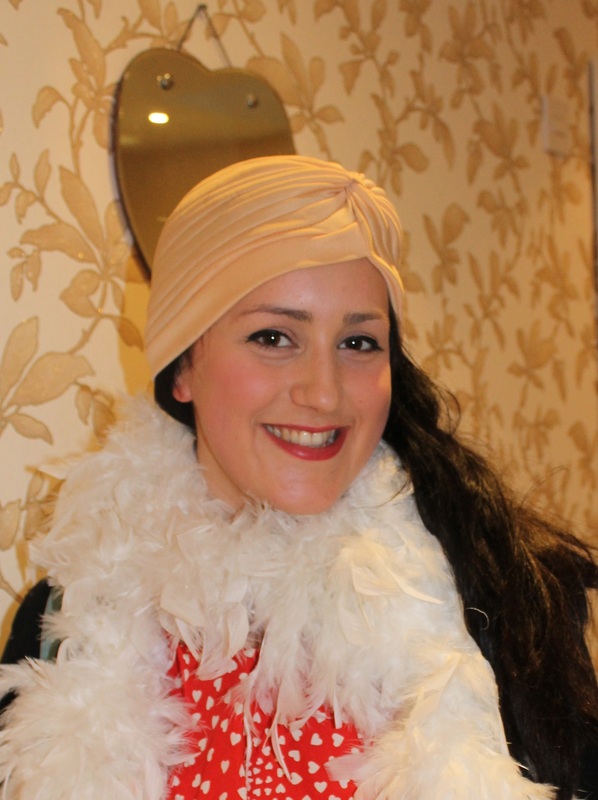 Heres a pic of me playing vintage dress up at Betty Blythe’s vintage tearoom in Kensington wearing my Poppy King lipstick! I was also send a lip crayon to review so look out for my review next week.